fertile land'. Covering an area of over 3875 square kilometers (about 1496 square miles), this frontier city is the second largest in Tibet. It sits in the plain at the confluence of the Yarlong Tsangpo and Nyangchu Rivers, where Tibet's most fertile land is to be found. With some thirteen ethnic groups including Tibetan, Hui and Man, Shigatse is a typical living area for minority nationalities. The population of Shigatse City is 98,700 about 97% of which are Tibetan. Shigatse has a history going back more than 600 years and it is this ancient holy city that is the traditional seat of the Panchen Lama, one of the spiritual leaders in Tibet. The city is also the cultural, economic and political center of Tibet. Before the 1950s, Shigatse remained in a primitive state in terms of its economy and its people's lifestyle. Following reformation and the opening up to the modern world, a series of highways were built up such as the No.318 National Highway and the China-Nepal Highway. These connect Shigatse with the outside world while opening up the outside world to people in Shigatse. Nowadays, Shigatse is an important Tibetan communication hub and an air of modernization pervades the area. New industries including mechanics, chemicals and food production thrive here. Meanwhile, the traditional handcrafts have been encouraged and expanded. Products such as Tibetan knives as well as items of silver and gold are sought after throughout China and are exported abroad. with beautiful high plateau scenery. It is also a hot spot for Chinese tourism. The average elevation here is in a range of 3840 meters (about 12598.4 feet) - 4464 meters (about 14645.7 feet), which endows cool and even cold weather to the area. In the high plateau, the climate is not very pleasant due to the frequent wind and dry atmosphere. However, it is not bad a place for summering. 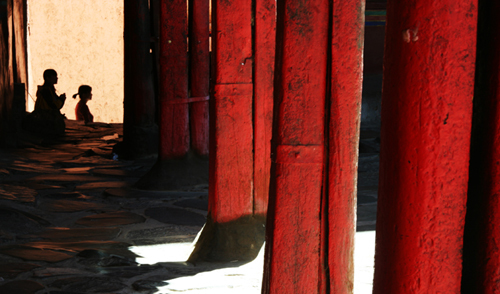 Its long history gives this city a strong cultural heritage, especially in respect of Buddhism. The approximately 600 year-old majestic Tashihunpo Monastery has a magnificent architectural style with a golden roof and resplendent buildings. Dozens of monasteries belonging to different sects enhance the atmosphere of Buddhism. Various grand festivals like Buddha Unveiling Festival in the monasteries each year give people a chance to admire the huge portraits of three Buddhas. Shigatse is of great importance for its location in this area. It is 300 kilometers (about 186 miles) away from the world's highest peak Mt. Everest, 150 kilometers (about 93 miles) away from the Sakya Monastery and also on the only path to Tibet's holy lakes. Thus Shigatse is quite an important base for people heading for those places. In the city, hotels and motels of different classifications satisfy tourists' needs. Although the accommodation in this remote area cannot be compared with those in modern cities, they are still important and plentiful. 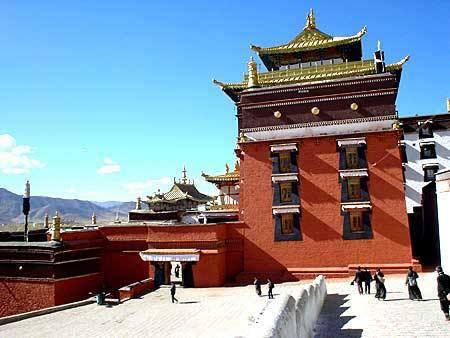 In terms of transportation, there are tourist buses heading for the nearby venues such as Lhasa, Zhangmu and Nakchu. Public amenities such as the post office and banks do much to facilitate travel in Tibet.